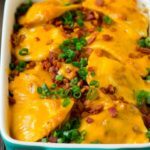 Cool Food Panelist Sara of Dinner At the Zoo created this recipe blog post featuring Mrs. T’s Classic Cheddar Pierogies and Kraft Sharp Cheddar cheese. The recipe was shared on the Dinner At the Zoo and Easy Home Meals social media channels including Facebook, Instagram, Twitter and Pinterest. 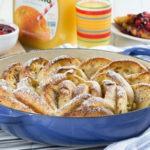 The Mr. Food Test Kitchen created this make-ahead brunch recipe featuring English muffins, eggs, almond milk, butter, refrigerated cinnamon roll flavored creamer and frozen mixed berries. 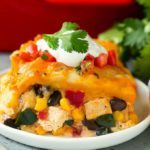 The recipe post was shared on the Real Mom Nutrition and the Easy Home Meals social media channels. NFRA Cool Food Panelist Christina of Dessert for Two created this recipe featuring Philadelphia cream cheese and Land O’Lakes large brown eggs. 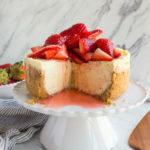 The recipe blog post was shared on the Dessert for Two and the Easy Home Meals social media channels, including Facebook, Twitter, Pinterest and Instagram. 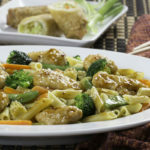 For March Frozen Food Month, the Mr. Food Test Kitchen created this easy dinner recipe using foods from the frozen aisle! 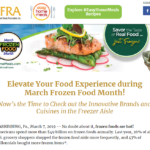 The frozen food aisles offer a variety of innovative products and promotions for March Frozen Food Month. Check out NFRA’s most recent multimedia news release, complete with delicious recipes, an infographic and recent satellite media tour clip, as well as frozen food messaging to share with consumers. 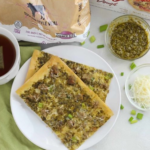 NFRA Cool Food Panelist Meme of Living Well Kitchen created this recipe featuring Athens Phyllo Dough and Rosina Artisan Tuscan-Style Veal Meatballs. The recipe blog post was shared on the Living Well Kitchen and the Easy Home Meals social media channels, including Facebook, Twitter, Pinterest and Instagram. 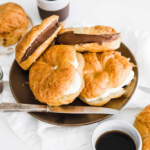 Cool Food Panelist Billy Parisi created this recipe using Philadelphia Cream Cheese and shared it on his social media channels including Facebook, Twitter, Pinterest, Instagram and YouTube. The recipe post was also shared on the Easy Home Meals social media channels. 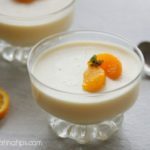 Cool Food Panelist Silvia of Mama Latina Tips created this recipe featuring Florida’s Natural Orange Juice No Pulp and Horizon Organic Half & Half. The recipe was featuring on the Mama Latina Tips and Easy Home Meals social media channels including Facebook, Twitter, Instagram and Pinterest. 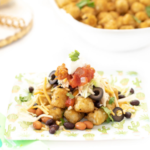 NFRA Cool Food Panelist Dawn of Cutefetti created this recipe featuring Alexia Crispy Seasoned Potato Puffs, Daisy sour cream and Sargento Shredded 4 Cheese Mexican. The recipe blog post was shared on the Cutefetti and the Easy Home Meals social media channels, including Facebook, Twitter, Pinterest and Instagram. 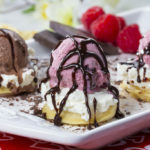 The Mr. Food Test Kitchen created this delicious recipe featuring frozen mini waffles, sour cream, ice cream and more! NFRA Cool Food Panelist Sara of Dinner At the Zoo created this recipe featuring Kraft Shredded Mexican Four Cheese, Daisy sour cream, Land O’Lakes butter and C&W Ultimate Southwest Blend frozen vegetables. The recipe was promoted on the Dinner At the Zoo and Easy Home Meals social media channels. 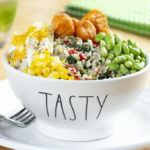 The Mr. Food Test Kitchen created this delicious recipe featuring frozen sweet potato puffs, veggies, cheese and more!